Upat and Kalika are two small towns about 5 KMs apart not far from Ranikhet. 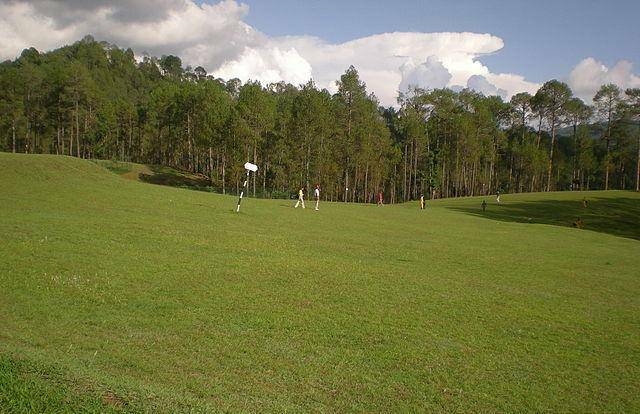 Upat is where the famous Army Golf Course is located and it is believed to be the highest golf courses in Asia. For all the diehard golfers, playing a round of golf is a must at this 9-hole course. Beautifully designed, it offers a natural obstacle course for the excitement during golf. Though primarily used by the army men, golf course is open to general public as well for a nominal fee. Few domestic tournaments are held at this course. Near town of Kalika and close to the Golf Course is the Kali temple from which it draws its name.